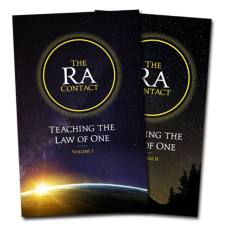 This bundle contains both volumes of the The Ra Contact: Teaching the Law of One. Purchasing each book individually costs a total of $40. Save 10% with this bundle for both volumes of The Ra Contact. You can add the Unified Index to the bundle at a discounted rate by selecting the option on this page before adding the product to your cart.